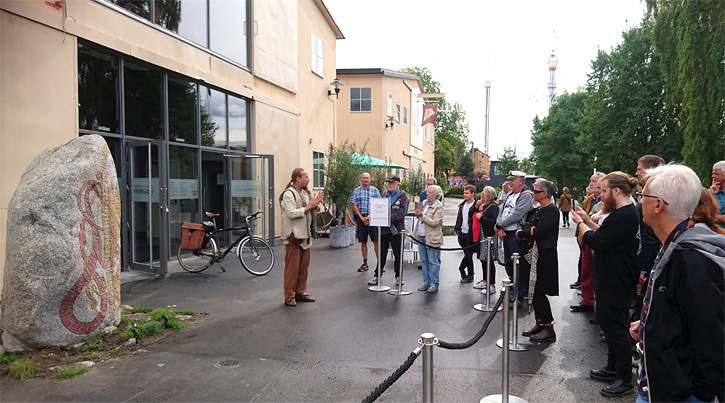 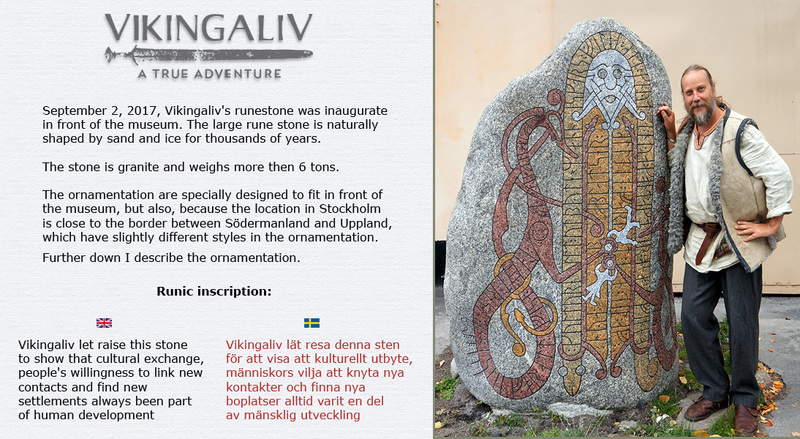 After unveiling, I describe the rune stone's ornamentation and runic inscription for visitors. 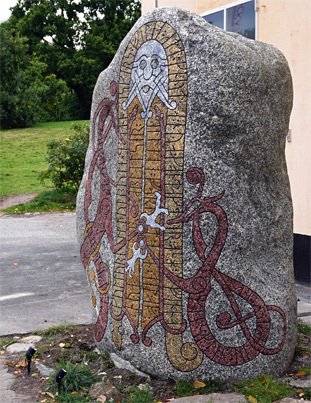 With rounded front, the rune stone can be seen from both sides along the walkway in front of the museum. 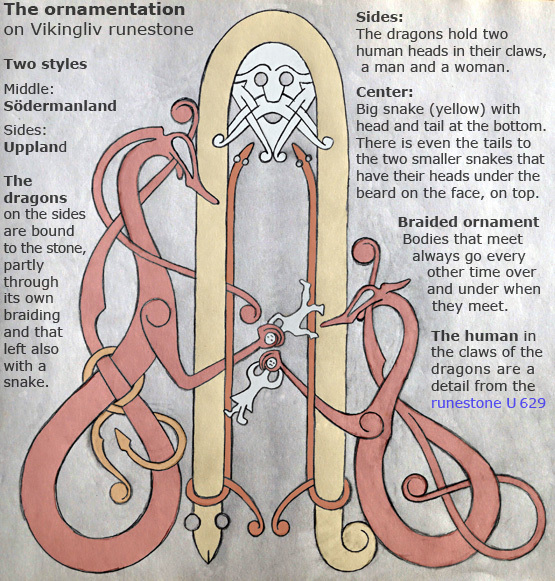 From the entrance you can see the smaller dragon that holding a woman's head in the claws. 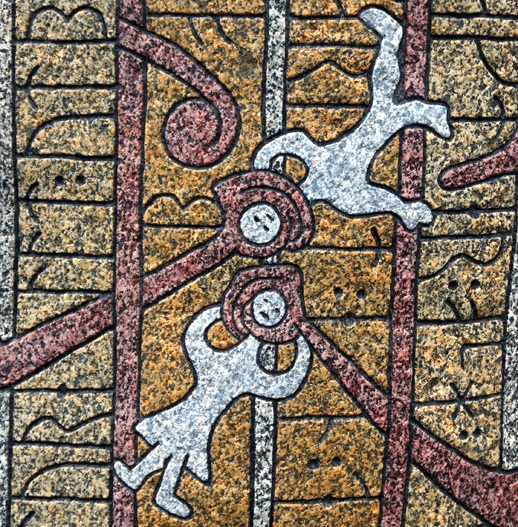 The man and the woman dangling in the claws of the dragons are a detail from the runestone U 629. 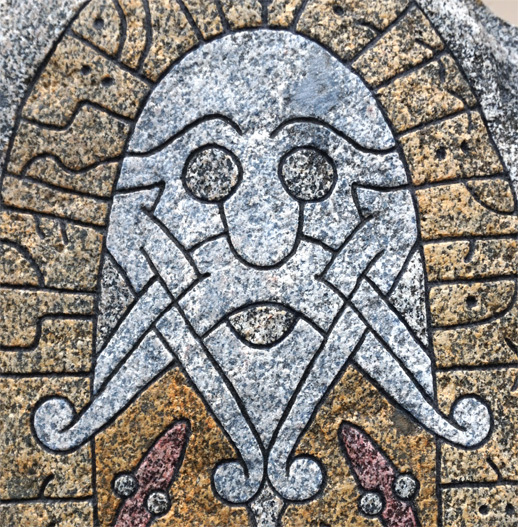 Look carefully and try to figure out what the 1000-year-old motif shows, yet no one knows the answer, but it can belong to an old saga/story. 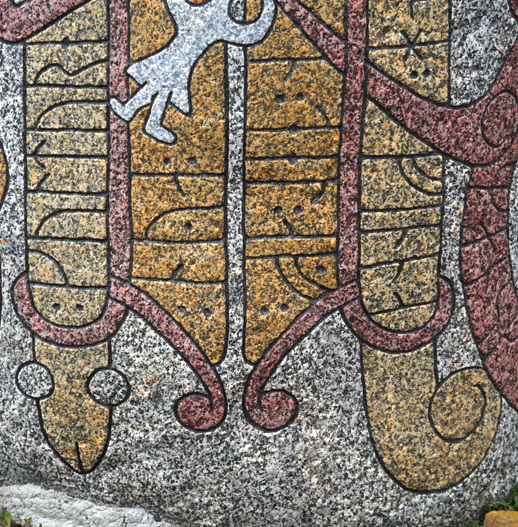 The original motif on the man and the woman and the claws of the dragons is bigger and less well-carved. 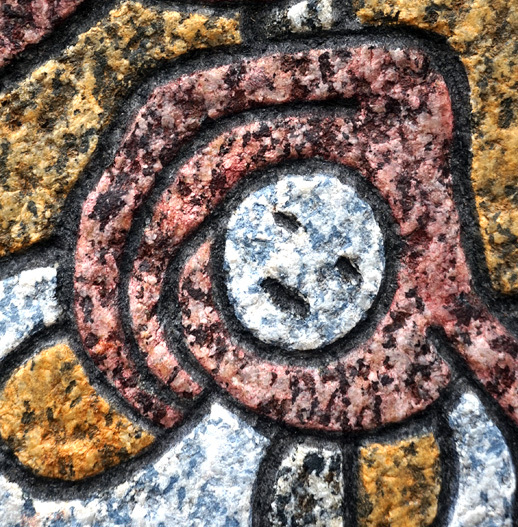 When I cut these small and fragile details, I was very careful, a little mistake and the picture could be destroyed forever. 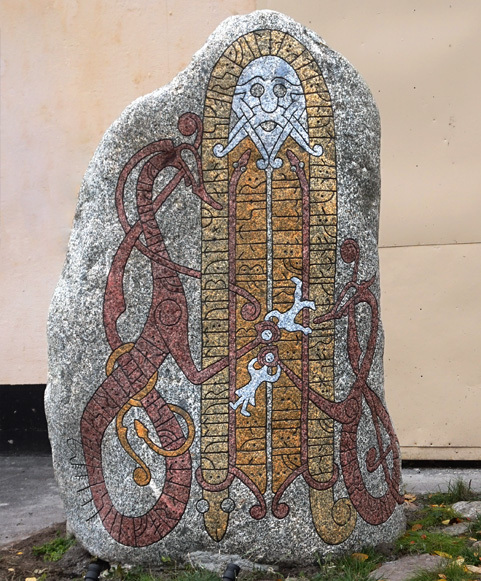 I succeeded, but it took days to carve.